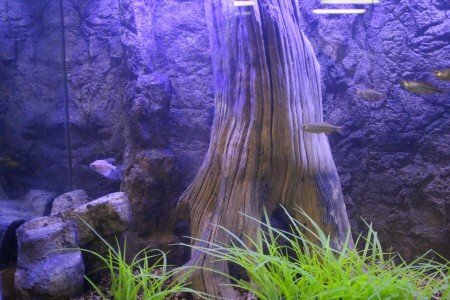 We all know plants add the finishing touch before you introduce your new pets so we are now offering a selection of Realistic and Durable Artificial Plants suitable for Freshwater Aquariums, Terrariums and Reptile habitats. Each plant has been attached to a weighted base making planting a dream. With the base attached, this will eliminate plants floating to the surface if gravel has been displaced. Simply place where desired and cover the base with pebbles, sand or any substrate you are using. 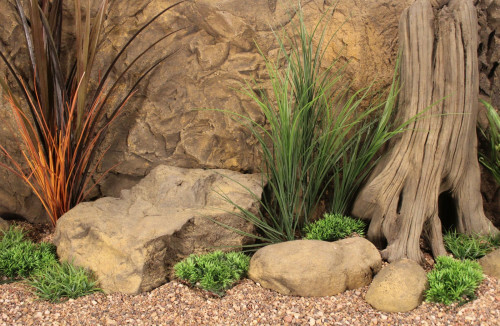 Combining our rocks and plants with real plants in any setting help keep your habitat looking outstanding!